In conjunction with the ongoing exhibition How Should We Live? Propositions for the Modern Interior, the Museum of Modern Art in New York will host a Q&A session on March 17 with Juliet Kinchin, curator in the Department of Architecture and Design and Paul Makovsky, editorial and brand director at Metropolis magazine. The session will discuss the exhibition as well as the life and work of Florence Knoll. 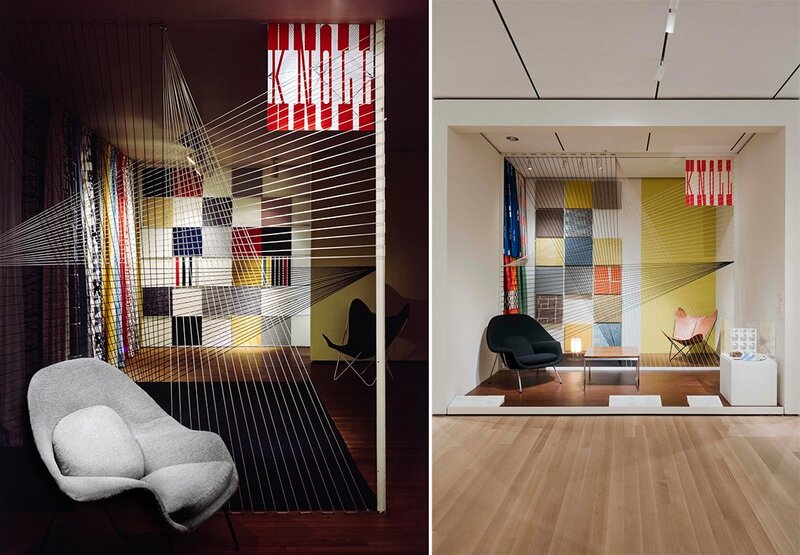 Featured in the exhibition is a recreation of the original 1948 Knoll showroom, then-located at 601 Madison Avenue in New York. The space was originally envisioned by Florence Knoll in collaboration with designer and photographer Herbert Matter, designed to permit clients the experience of a planned space of total modern design. The iconic slab serif logo and a dynamic cord installation, both designed by Matter, enliven the vignettes that were carefully put together by Florence Knoll. Free for members and Museum admission ticket holders, the event will take place in the exhibition itself, where FM headsets for sound amplification will be available. The exhibition How Should We Live? Propositions for the Modern Interior will be on view through April 23, 2017 at the Museum of Modern Art, located at 11 W 53rd Street in New York City. Museum hours are Saturday through Thursday from 10:30am to 5:30pm and Friday from 10:30 am to 8pm.